Spotless, beautifully kept home in the original "French" development. The original owner has kept this home updated and in pristine condition. A family room addition, done with permits in 2004, adds welcoming living space adding light and access. The southwestern colors, decor, and landscape work very well with the architecture of the home and setting. The owner has had professionals install solar tubes in the kitchen, hallway and one of the bathrooms and is including a built-in Murphy bed as part of the purchase agreement. Bruce hardwood flooring and travertine tiles add to the beauty of the home while making cleaning chores a snap. Hunter Douglas Window coverings on the front & side door, while wide plank plantation shutters cover the other windows in the home. Granite covers the kitchen and bathroom counters. And you will find beautiful Shaker cabinets in the updated kitchen along with a Bosch dishwasher and newer range. Milgard Lo-E windows throughout the home, all interior doors have been replaced, as has the furnace. 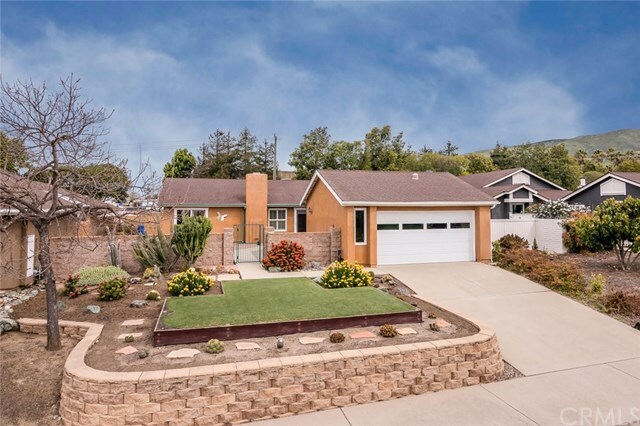 The home is on a built-in irrigation & drip system providing water to southwestern influenced landscaping and grass, while you can sip your margaritas on your private walled in patio and enjoy the lovely year-round San Luis Obispo weather. This home enjoys walking distance to shopping, bus lines, sports fields and a mere stone's throw to the county airport. There isn't much for you to do but, pack your clothes and move in!